PROGRESO — When a fire ant’s home mound is disturbed, the workers below the surface release pheromones that alert the under colony of a nearby intruder. After that, it’s best not to stand still. You can see a similar tactic on the soccer field when the Progreso Red Ants feel like opposition offense is a little too close to their net and goalkeeper Arturo Gallegos. 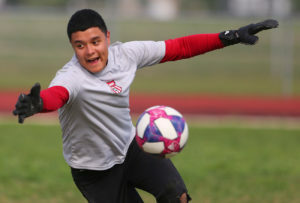 Over the course of the 2019 season, Progreso has conceded only 25 goals, while netting 148. In the playoffs alone, the Red Ants have outscored their opponents 12-4. The Red Ants will compete in the regional semifinals at 2 p.m. Friday against the Taylor Ducks at McAllen Veterans Memorial Stadium. 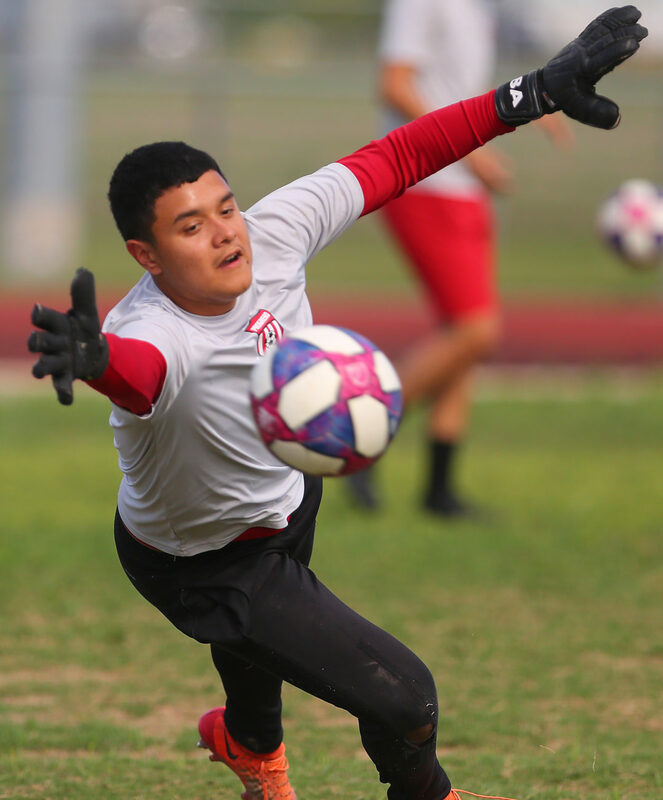 A win would send Progreso to the regional championship on Saturday where the program can punch a ticket to its fourth state tournament in as many seasons. Even Matthew Perez, the team’s leading goal scorer, knows the defense plays a crucial role in the group’s quest for a state title. He points to Edgar Melendez, the team’s sweeper, as a reliable backstop. Gallegos has also been teammates with the man directly in front of him on the field for a long time as well, which makes a difference. 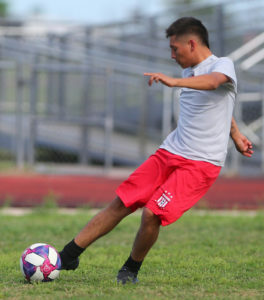 Progreso’s team and head coach know that the regional tournament is another level of talent, they have won the past three Region IV Class 4A tournaments. The Red Ants plus-8 goal differential is second to Gonzales who they could meet in the regional tournament. The Apaches knocked out fellow RGV Class 4A powerhouse Hidalgo 1-0 in the area round. Coach Margarito Jimenez says a stingy defense is a must-have for prolonged success. Just like the last three Progreso seasons, the Red Ants boast a strong core of experienced players. The middle-school program is essential to the high school team and many of the players have stuck together since their seventh-grade year. Progreso can stay in any match thanks to its defense, but Red Ants earn its household name for their bite and subsequent sting. Most of that responsibility is on the shoulders of another senior, Matthew Perez who has tucked away 34 goals this year. 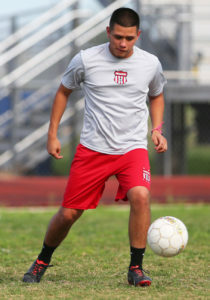 The forward knows that his opportunities will probably be less frequent than during their 13-1 District 31-4A campaign. “In regionals, there are fewer opportunities to make goals, so we have to take advantage because you might only get one or two chances to score,” Perez said through a translator. If Progreso can advance to Saturday’s regional final at noon it will face the winner of Gonzales and Canyon Lake.